A California company has won a contract to build a 150-megawatt solar plant in West Texas. It would be the largest single plant built in the state so far, second only to the 400 mw system of plants planned for San Antonio. San Francisco-based Recurrent Energy isn’t saying where exactly it will build the plant. CEO Arno Harris says they’re keeping that information private for now to keep the project competitive as other companies look to the West Texas skies for profits. Harris tells KRTS that rising natural gas prices and dropping costs are making it easier for the solar industry to move to Texas – utility companies are buying more solar, seeing it as an increasingly competitive energy source. Recurrent Energy has secured a 20-year contract with Austin Energy to bring power to an estimated 15,000 homes in the capital city. The utility estimates 1 mw of solar power can power about 100 Texas homes during peak hours on summer days. Arno Harris predicts the state will see more large-scale solar plants in the future, as companies increasingly compete to get their hands on what he calls “bigger and bigger chunks” of the market. Earlier this year, Arizona-based First Solar broke ground on the first part of the Barilla Solar Project – a 22 mw plant located near Fort Stockton in Pecos County. First Solar also has plans to build near Paisano Pass in Presidio County, and another California-based company called Sun Power is moving forward with a 50 mw plant near Marfa. After some concerns from local residents, Sun Power agreed to move its proposed site further away from town. 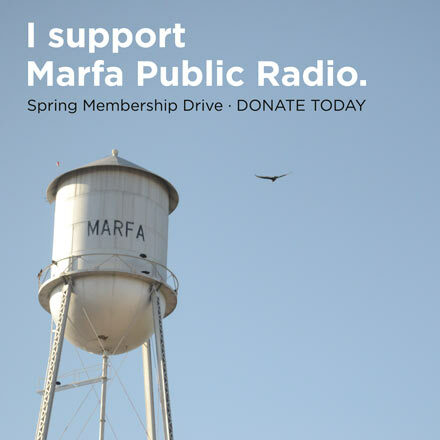 Both companies were recently awarded tax breaks from the county and Marfa ISD. Looking ahead at solar power in Texas, the state comptroller’s office says counties that have offered the “most favorable” incentive programs to solar companies have seen the fastest innovation and growth in the industry. Before HB 2500 took effect in January, those property values dropped each year over a few decades – now, they drop faster over ten years. Last year, President Obama called on the country to double its use of renewable energy by 2020 as part of his administration’s Climate Action Plan, but solar power still only accounts for just a fraction of 1% of the nation’s overall energy production. This entry was posted in KRTS News and tagged Austin Energy, Recurrent Energy, Renewable Energy, Solar Industry, Solar Power, West Texas Solar Plant. Bookmark the permalink.